Earn up to 6,304 reward points. Longer scale, a lower octave and passive electronics make this a nice alternative mandolin for experienced players. 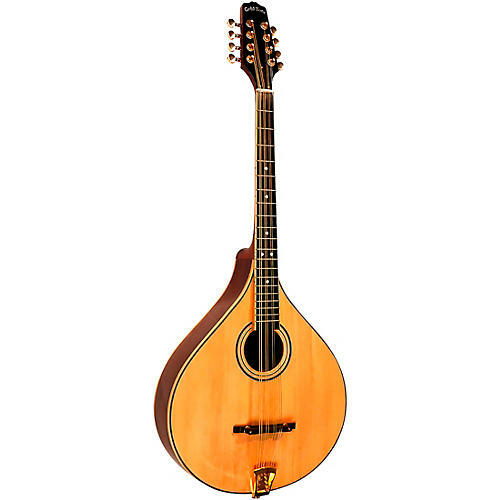 The Octave Mandolin is tuned one octave lower than a standard mandolin. Octave mandolins are becoming increasingly popular as the main alternative instrument for mandolinists. Redesigned for 2011, the OM-800+ includes a longer 22-1/2” scale (commonly used by private makers in Ireland) and an arched top, which makes it structurally stronger. Another improvement is a compound radiused fingerboard preferred by many for playing speedy licks. Of utmost importance on any octave mandolin is the complicated setup required for low action without buzz. Gold Tone’s luthiers have perfected this procedure. Try something different and new. Order your OM-800+ today!